The Muslim Brotherhood Terrorist Designation Act of 2017 was a piece of congressional legislation introduced by Senator Ted Cruz (R-Texas) that advocates for the Muslim Brotherhood to be labeled a “foreign terrorist organization” (or FTO) by the U.S. State Department. Not to be outdone by Cruz, there have also been reports that Donald Trump might still issue his own unilateral executive order directing the State Department to examine whether it should designate the Muslim Brotherhood an FTO as well. Michele Dunne — director of the Middle East program at the Carnegie Endowment for International Peace — stated that if they were successful in their pursuits, Cruz and Trump’s efforts would signify the first time that the United States declared an organization an FTO on purely “ideological” grounds. “It is wrongheaded and dangerous to tar all [Muslim] Brotherhood members with one brush,” the New York Times editorial board wrote in a February 2017 editorial condemning Trump’s planned executive order. “Such an order would be seen by many Muslims as another attempt to vilify adherents of Islam. It appears to be part of a mission by the president and his closest advisers to heighten fears [of Muslims].” The board further noted that the Muslim Brotherhood “renounced violence decades ago” similar to the Irish Republican Army (IRA) fully renouncing violence in 1994. The board concluded by boldly stating that Trump’s talk about branding the Brotherhood as a terrorist organization has done nothing but “fueled darker fears of an administration intent on going after not just terrorists but Islam” itself. Anti-Muslim activists and the Islamophobia industry have long used the “Muslim Brotherhood” label as a very sloppy shorthand to refer to all American Muslim civic organizations, politicians and government officials with whom they disagree. These anti-Muslim activists have also used it to attack Muslim government officials (like Democratic congressman Keith Ellison of Minnesota), longtime Hillary Clinton aide Huma Abedin and even Gold Star father Khizr Khan, who famously criticized Trump on primetime national television at the 2016 Democratic National Convention. The Southern Poverty Law Center (SPLC) noted that Trump’s initial major executive actions — amounting to a Muslim immigration ban — were an attempt to control foreign Muslims’ entry into the United States. According to SPLC, this latest rumored Trump executive order on the Muslim Brotherhood is squarely “aimed at American Muslims and controlling them while at the same time continuing to demonize Islam” through these questionable federal policies. 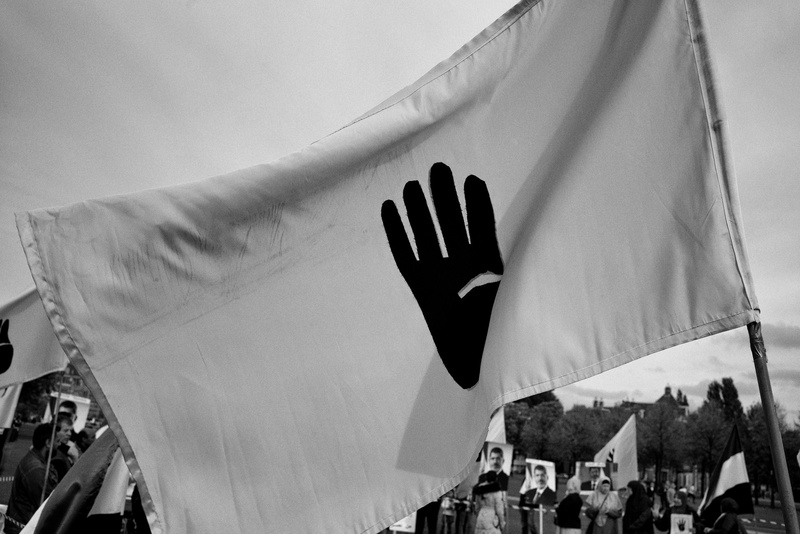 The SPLC and others also note that there is no hard evidence to support a Muslim Brotherhood designation apart from one single unauthenticated “1991 memorandum” written in Arabic by a man allegedly affiliated with the Brotherhood that anti-Muslim activists and the Islamophobia industry say is “proof” of the organization’s nebulous influence on Americans within the United States. “This  memorandum, of which there is only one known copy,” wrote Georgetown University law professor Arjun Singh Sethi in a Washington Post column, “has been widely discredited and called a fantasy.” Pulitzer Prize winner David Shipler also wrote about the 1991 memorandum for The New Yorker when he wrote that “virtually all the alarm over the coming Islamic takeover and the spread of Sharia law can be traced back to an old document of questionable authority and relevance entitled ‘An Explanatory Memorandum on the General Strategic Goal for the Group in North America’.” Mr. Shipler wrote that this dubious memo is regularly cited on numerous right-wing websites, and in articles, videos and training materials, which quote one another in circular arguments. “The memo, however, is far from probative,” he concluded. “It was never subjected to an adversarial test of its authenticity or significance. Examined closely, it does not stand up as an authoritative prescription for action” by any normative means whatsoever. 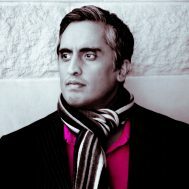 New York Times bestselling author Reza Aslan told me in an interview that “this murky 1991 Muslim Brotherhood memo — which many people have debunked as conspiracy theory — reeks of the Protocols of the Elders of Zion,” a debunked anti-Semitic conspiracy theory about a late 19th-century meeting at which Jewish leaders — referred to as the Elders of Zion — purportedly planned their takeover of the world, according to the Times of Israel. Furthermore, even the CIA thinks it’s a terrible idea to designate the Muslim Brotherhood as a terrorist organization. According to an in-depth report by POLITICO, CIA experts have warned that such a designation “may fuel extremism” and damage relations with America’s allies, according to a summary of a report for the intelligence community and policymakers that was shared by a U.S. official. The CIA document, published internally on January 31, 2017, notes that the Brotherhood — which boasts millions of followers around the Arab world — has “rejected violence as a matter of official policy and [has publicly] opposed Al-Qaeda and ISIS” and other terrorist groups as well. Many people believe that this Muslim Brotherhood designation is simply a political smokescreen to criminalize American Muslim civic life in the age of Trump. Prominent groups like the American Civil Liberties Union (ACLU), Center for American Progress and Human Rights Watch all believe that this anti-Muslim executive order would threaten the constitutional rights of millions of American Muslim men, women and children all over the United States. “Designating the Muslim Brotherhood as a foreign terrorist organization would wrongly equate it with violent extremist groups like Al-Qaeda and ISIS,” said Laura Pitter, senior U.S. national security counsel at Human Rights Watch. “I think that the Trump administration has bought the Islamophobia network’s anti-Islam conspiracy theories hook, line and sinker,” Corey Saylor of the Council on American-Islamic Relations (CAIR) said in an interview. “The designation is more about domestic control of American Muslims than national security. It would open the gate to an anti-Muslim witch hunt. As in the past, such a campaign would see witch hunters smearing and defaming their political opposition and scapegoating an entire minority” representing millions of law-abiding American Muslims. Salam Al-Marayati from the Muslim Public Affairs Council (MPAC) told me, “Trump and [Steven] Bannon are creating this anti-Muslim phantom in order to distract the public from the real problem — their cahoots with Gulf tycoons and other Middle Eastern tyrants. … They are creating a problem that serves their interests but not the American public’s interests.” Azhar Azeez, president of the Islamic Society of North America (ISNA), told me that this Muslim Brotherhood designation “will lead to a McCarthy-like witch hunt of American Muslim civic institutions. It will empower anti-Muslim groups to isolate and scapegoat the American Muslim community by spreading smear campaigns falsely accusing them of having ties” with the Muslim Brotherhood. If the group is listed as a terror organization, this would cast a cloud over a number of U.S.-based charities and civil rights organizations that have ties to entities abroad, according to Washington Post writer Ishaan Tharoor. Kenan Basha, president of the Muslim Students Association of the United States & Canada — told me that Trump’s designation continues to contribute to this irrational atmosphere of Islamophobia that young Muslim students attending American schools deal with every day. “We are deeply concerned for the long-term detrimental impact of this atmosphere of Islamophobia on American Muslim youth and college students,” Basha said. “While we work hard to help young American Muslims synthesize a positive sense of both American and Islamic identity, an identity revolving around core American values of faith, service and love of country, this now-institutionalized Islamophobia reinforces the exact opposite, that being American and Muslim cannot be reconciled. On top of the usual stresses that college students deal with like academic grades, student debt and navigating the usual challenges of college, our young Muslim students have to deal with their president telling them they don’t belong here and normalizing irrational hatred against them” simply because of their religious beliefs. The term “scapegoats” is from the Bible’s Book of Leviticus, which referred to a goat that was let loose in the wilderness on Yom Kippur after the high priest symbolically laid the sins of the entire society on its undeserving head. Since time immemorial, we have always had scapegoats whom we blamed for all of society’s problems. From the Holocaust to Japanese internment camps to Jim Crow America, we have always needed a proverbial boogeyman to portray as “the Other.” If the Trump administration is successful in designating the Muslim Brotherhood as a terrorist organization — with only one debunked 1991 memorandum as proof — it will lead to the further disenfranchisement of 7 million American Muslims who already are beginning to feel like strangers in a strange land.